Xiaomi, one of the most talked-about smartphone brand, entered two new countries this year, India and Indonesia. It had plans to enter some more countries, but it was kept on hold smartphone market earlier this year after it received better than expected response from India. 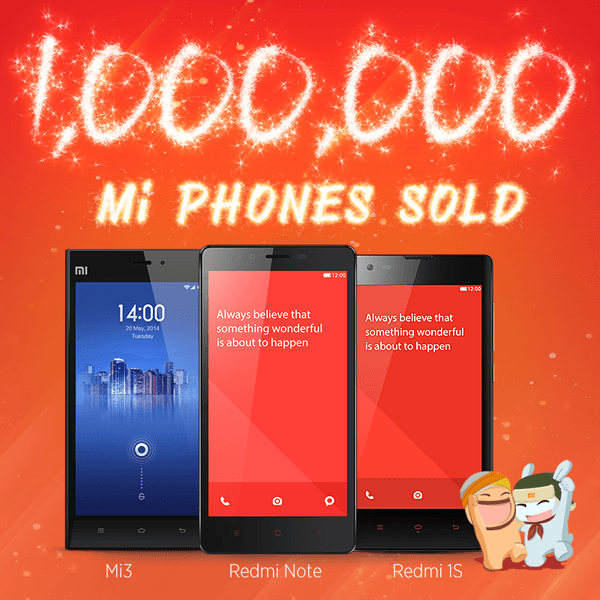 Till date, Xiaomi has been able to sell a million smartphones in India. Till now, Xiaomi has launched four smartphones in India, the Mi 3 for Rs. 12,999, the Redmi 1S for Rs. 5,999, the Redmi Note 3G for Rs. 8,999, and the Redmi Note 4G for Rs. 9,999. All its smartphones have had the best specifications in their respective price ranges. No wonder, all of them have sold like hot cakes, but now Xiaomi has two new competitors in India, OnePlus and Yu (by Micromax). Both the brands offer extreme value for money devices and just like Xiaomi, both these brands follow a non-traditional sales model. Xiaomi’s entry into India has not been very easy as it faced a ban on selling smartphones after Ericsson filed a complaint about an alleged infringement of essential mobile phone patents like AMR and EDGE. The final decision will be taken by the Delhi High Court in February. Xiaomi is also planning to launch its next flagship smartphone, the Mi 4. COAI writes letter to TRAI over Whatsapp free voice calling services, will rest of the operators follow Airtel’s way ?